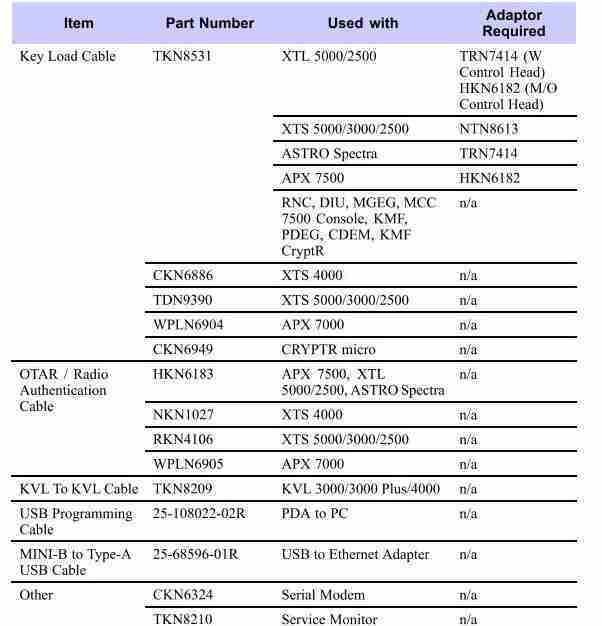 Complete List of Motorola KVL Encryption Keyload Cables and Adapters | Magnum Electronics, Inc. This entry was posted in APX Radios, Interoperability, Motorola and tagged APX, communications, military, police, XTS by magnumelectronics. Bookmark the permalink.